Cedar Grove is a small burg in Essex County, New Jersey. It’s small, quaint and a great place to bring up your family. With all that being said; it is still subject to the brutal New Jersey weather. During the winter months, it can be in the low 10’s one day, and sunny and in the 50’s the next day. In often seems that the winter will never end. But, before you know it, spring is here, which is often little more than a long weekend leading directly into summer. The summers aren’t a whole lot better, merely the other side of the coin. One day it’s 103, while 2 days later it’s in the 60’s. And we haven’t even gotten into the snow, rain and biting wind yet. You think it’s rough on you? At least you can go inside to escape the climate. The exterior of your property isn’t that lucky. Your house, deck, sidewalks and driveway have to deal with the ups and downs 365/24/7. Over time, it really takes a toll. Whether stone, wood, vinyl, brick, asphalt or anything else, it gets dirty, ugly, and even damaged. Left un-checked, it will ultimately have to be repaired, or even replaced. Without proper maintenance, all of those things will rot and “die”. They can also develop and hold mold and mildew, which can become a real health hazard for you and you loved ones. We, at Essex County Power Wash can take care of all of these problems and concerns. 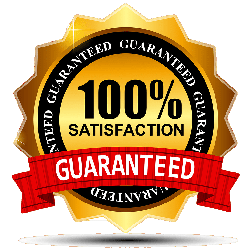 The cost for us to do our job, to provide you with piece of mind, is a mere fraction of the alternation; whether repair, replacement, or health issues. Who needs it, when we can fix it very quickly, and for a very reason cost. Small price to pay! Contact Essex County Power Wash today so we can give you total piece of mind. I recently had my driveway sealed, but it still looked old and shabby. Essex County Power Wash was referred to me by a friend. I contacted them and spoke directly to Jim, the owner. He went over exactly what the job would entail, and what I could expect. The results were everything I hoped for… and more! Great job Jim!